i stekao naučnu titulu Doktora medijskih i komunikoloških nauka iz oblasti medija (Dr.sci). Predsjednik komisije je bio Akademik, rektor, prof. dr. Ibrahim Jusufranic; mentor i član komisije prof.dr. 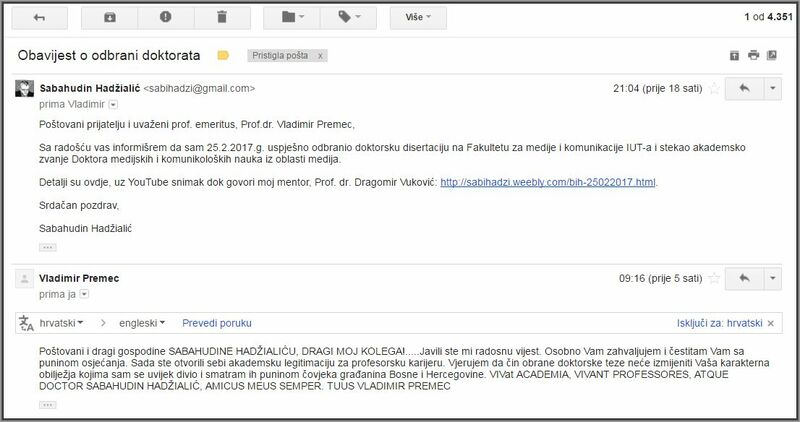 Drago Vukovic, treći clan komisije, Prof.dr. Milos Babic i četvrti član Komisije Akademik, Prof. dr. Mladen Bodiroža. 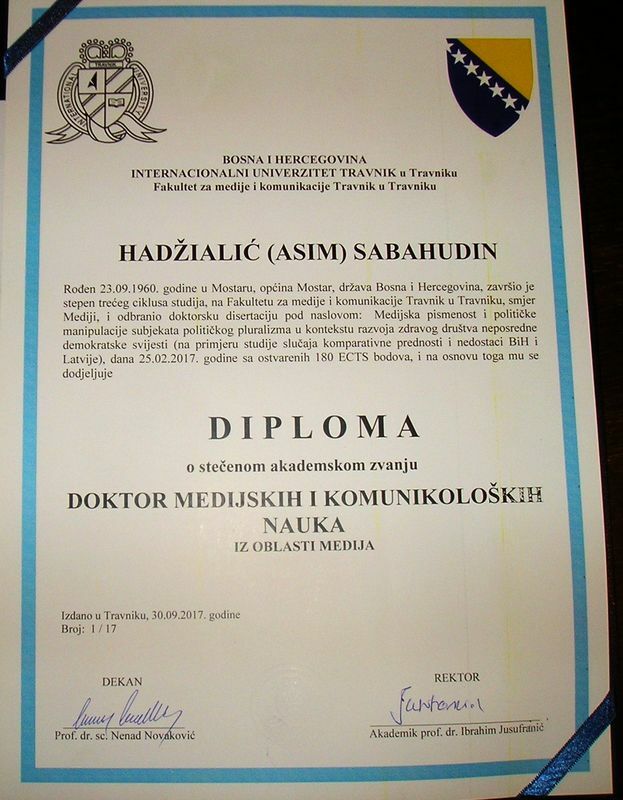 (on the example of case study "comparative advantages and disadvantages of BiH and Latvia)"
and have got/gained a scientific titule of Doctor of media and communication sciences from the area od media (Doctor of sciences). Chairman of the Board was Academician, rector, Prof. Dr. Ibrahim Jusufranić; mentor and member of the Board was professor, Prof. Dr Drago Vukovi, third member of the Board was Prof. Dr Miloš Babić and foruth member of Commission was Academician, Prof. Dr Mladen Bodiroža.